Julie Gunlock has a terrific blog on "SCOTUS Theater and the Abuse of Nominees." Given the scene Julie describes, you'd think it impossible for one person, and that person a U.S. Senator, to stand out for bad behavior. 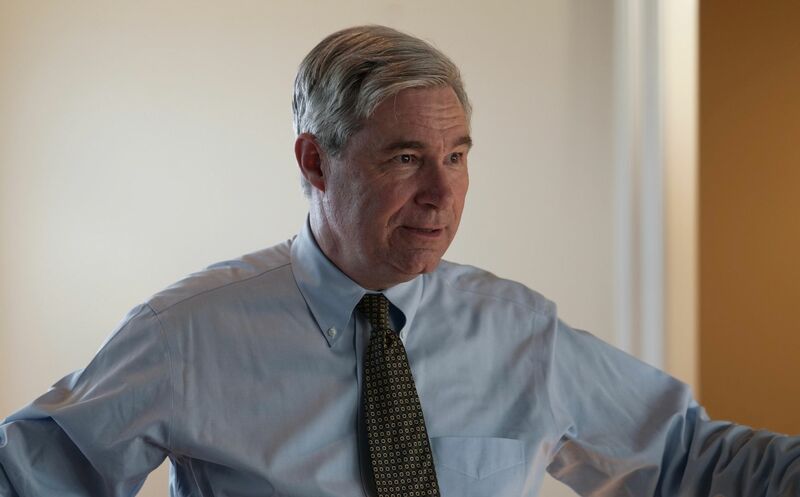 But Senator Sheldon Whitehouse, Democrat from Rhode Island, has done just that. Senator Whitehouse just about accused five members of the Supreme Court of basing their rulings on the financial interests of rich Republicans. Whitehouse went on to sketch an ominous picture of a vast right-wing judicial conspiracy under which “big business and partisan groups” fund nonprofits like the Federalist Society and the Judicial Crisis Network, to strong-arm their nominees onto the courts. Just for the record, the Supreme Court is tasked with deciding whether statutes are constitutional, regardless of whether they had wide bipartisan margins or narrow margins. If the margins in Congress were all that mattered in establishing whether a law is constitutional, the Court would not be involved. Count the votes; job done. But the Supreme Court is supposed to rule, margins and popularity aside, based on whether statutes are constitutional. But never mind--Whitehouse's remarks are shocking, but unfortunately in line with the rest of what we're seeing in the Kavanaugh hearings. The left has long held the Court in high regard--it was, as the Wall Street Journal observed earlier this week, "an engine of progressive change." Progressives relied on the courts for changes they wanted but were not assured of passage in Congress. If there are five conservatives on the Court, that will change. Progressives will have to enact their changes through Congress or the executive. To go through Congress, they will have to make arguments that appeal to voters. That of course is what the orchestrated chaos and vitriol we're seeing at the hearings underlines. The stakes are high, but that doesn't excuse the bad behavior, including Senator Whitehouse's unseemly remarks. The irony, as Peter Morici observes, is that Judge Kavanaugh is likely to be the best the Democrats could hope for as long as President Trump is in the White House.